4. What constitutes 'Direct Finance' for Agricultural Purposes? 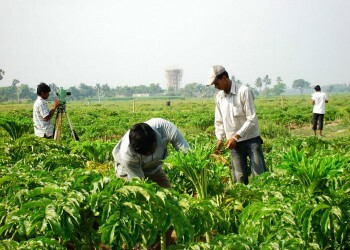 (ii) Loans to corporates including farmers' producer companies of individual farmers, partnership firms and co-operatives of farmers directly engaged in Agriculture and Allied Activities, viz., dairy, fishery, animal husbandry, poultry, bee-keeping and sericultureup to an aggregate limit of `2 crore per borrower. 5. What constitutes 'Indirect Finance' to Agriculture? (i) If the aggregate loan limit per borrower is more than `2 crore in respect of para. (4) (ii) above, the entire loan will be treated as indirect finance to agriculture. (ii) Loans upto `5 crore to Producer Companies set up exclusively by only small and marginal farmers under Part IXA of Companies Act, 1956 for agricultural and allied activities. Loans to individuals for educational purposes including vocational courses upto `10 lakh for studies in India and `20 lakh for studies abroad are included under priority sector. Loans to individuals up to `25 lakh in metropolitan centres with population above ten lakh and `15 lakh in other centres for purchase/construction of a dwelling unit per family excluding loans sanctioned to bank’s own employees.